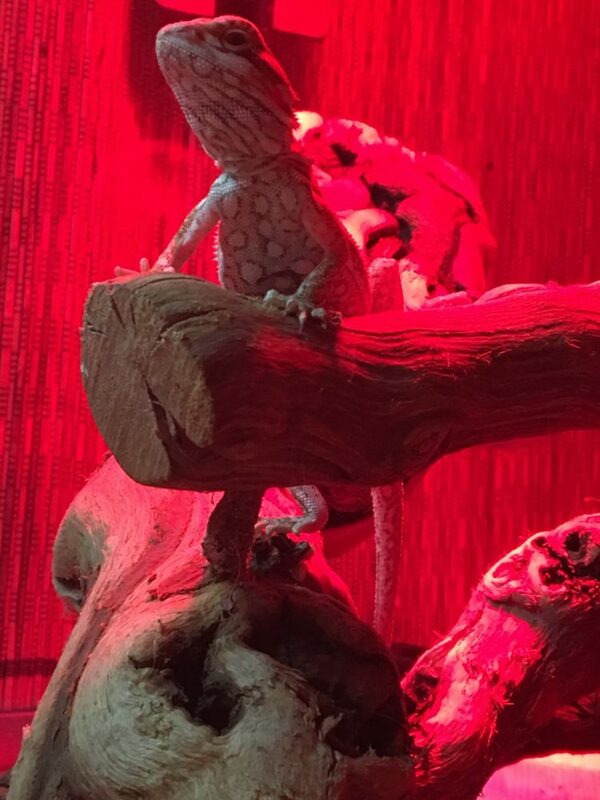 Bought my beautiful bearded dragon last year and he has grown into quite a nice lizzard. He is now waiting on a mate!!! ATOMIC LIZZARD RANCH knows their business! What a wonderful pet! Will purchase another for breeding. Great service fast shipping will answer any questions promptly. Pyxis will be 2 yrs old in April. He is the light of my life. My husband and I are so appreciative! He is a big boy and very sweet natured. Wishing you well! Very happy with the girl I got. She came healthy. Her colors were represented accurately. This girl is a stunner. 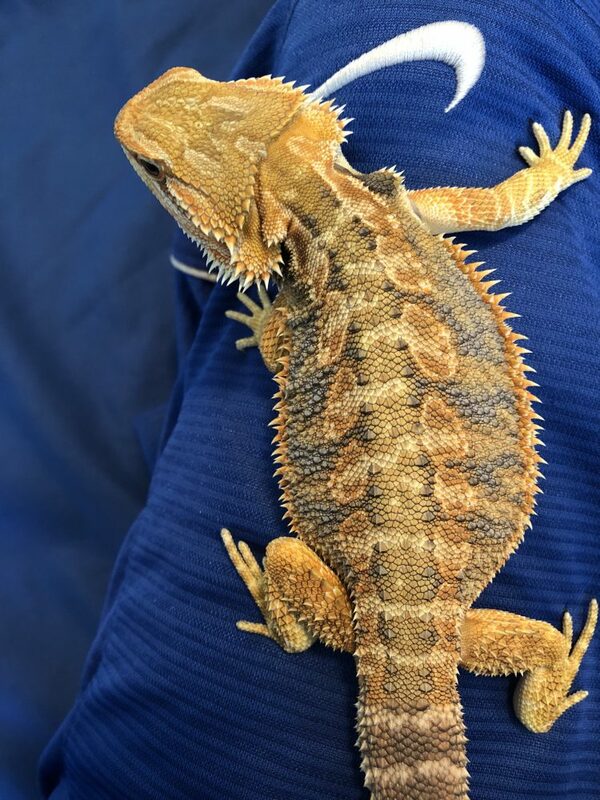 My gala red phase beardie is the sweetest bearded dragon ive ever been around. He eats like a horse and he has adapted wonderfully. Thank you so much for him. 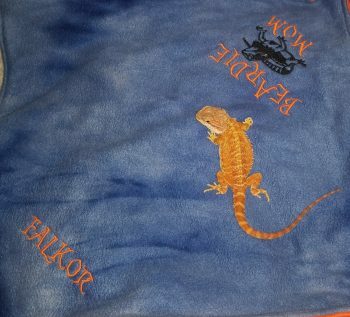 The picture is of him on his babies first blanket!!!!!!!! Purchasing from Colette was a great experience from start to finish. This is our first bearded dragon, and she answered all of my questions very timely and thoroughly. “Janet” arrived to us on time and was sweet and calm from the get go. She is very healthy, and is adjusting well to her new home. I also appreciated all of the information Colette sent me on how to care for her when she first arrived. That has made the transition for her a lot smoother and we feel good knowing we are doing the right things. Also, she is a beautiful dragon, and is only going to get brighter as time goes on. We are very happy with our purchase. I was honestly a little skeptical at first. The idea of a lizard being shipped to me from a place I didn’t know was scary. I wasn’t sure if it would arrive in good health, or that it would live long. I’m please to say that I was completely incorrect! My beautiful baby arrived safe and sound! She arrived as comfortably as could be expected from being shipped lol. She arrived with food with her so she was able to eat on the way to me! It’s been about a month and she is still in great health! She is just as gorgeous as she was in the photo! She eats like she’s never going to get food again, but she is very healthy! She’s not at all mean, just a little hesitant with being handled, but she gets a little better every day! I highly recommend Atomic Lizard Ranch as your go to to buy beautiful and healthy bearded! 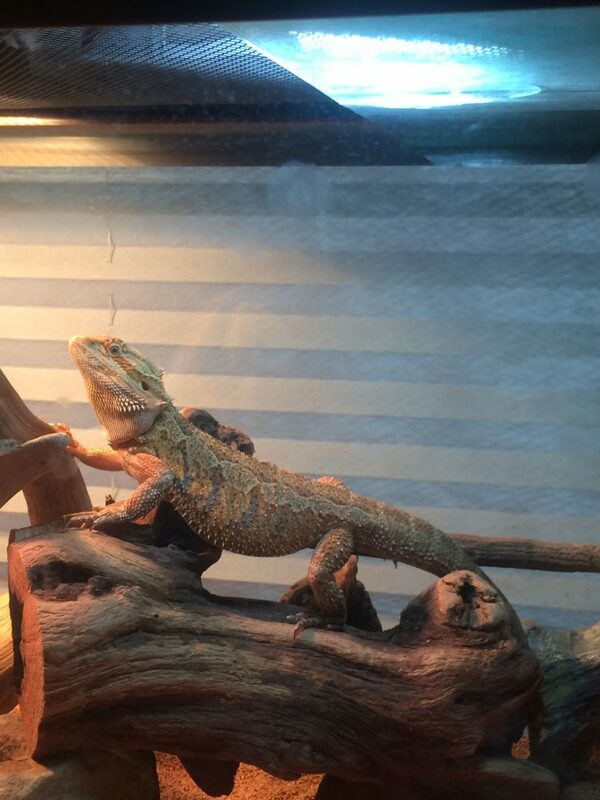 I cannot thank you enough Collette, for my beautiful baby girl Spyro! Thank you so much! I love my beautiful baby girl! She is everything I expected and more! Collette truly knows how to care for these little guys. I got an orange phase bearded dragon when he was just almost 2 months old. 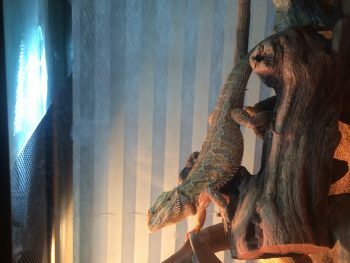 Collette had him securely packaged well and when I took him out and placed hm in his new cage, he immediately gave me the hand wave. Ever since then, he is now almost 8 months old and is very healthy. He loves just laying in my hands and is a very sweet boy. 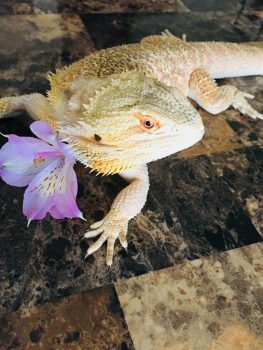 Thank you Collette for helping raise such a beautiful and well-mannered dragon and for all the helpful information you have given me these past few months. The pic says it all! He’s so cool and friendly too! I got my beautiful Tuesday and she’s perfect! I couldn’t have asked for anything better. Thank you Collette for being so helpful! I wanted to let you know that our baby is doing great!!! He’s a sweetheart and loves to cuddle next to a heart beat!! Eating, drinking, chasing bugs, pooping… All seems great. Thank you! 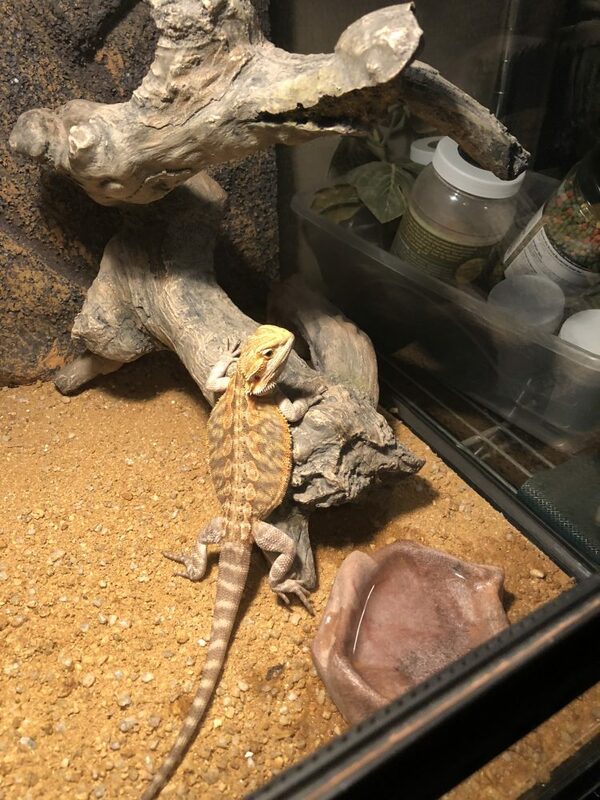 We received our cool bearded dragon this week. She was perfectly wrapped inside her insulated box and arrived safe and sound. Her colors are bright and beautiful. She is very active and playful. 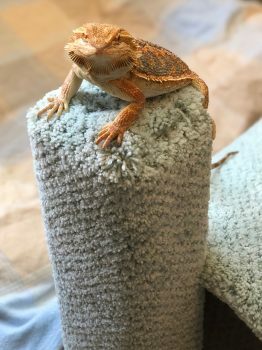 We highly recommend Atomic Lizard Ranch for their bearded dragons and great customer service! Collette was very helpful and it was a pleasure doing business with her! 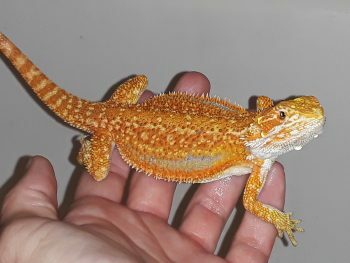 I recently purchased my second dragon this time from a breeder, Atomic Lizard Ranch and I must say I am truly happy with my beautiful tangerine dragon and the whole process.Collette was amazing making me feel comfortable with all her knowledge and advice.I would diffently order from her again in the future.Thank You so much for our pepper.I am very pleased and happy. 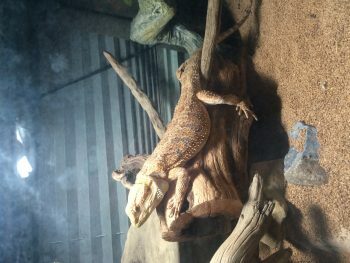 I recieved my first dragon this morning from Collette and I just want to say wow! He is so beautiful and has a great disposition he is a little sassy like you said! 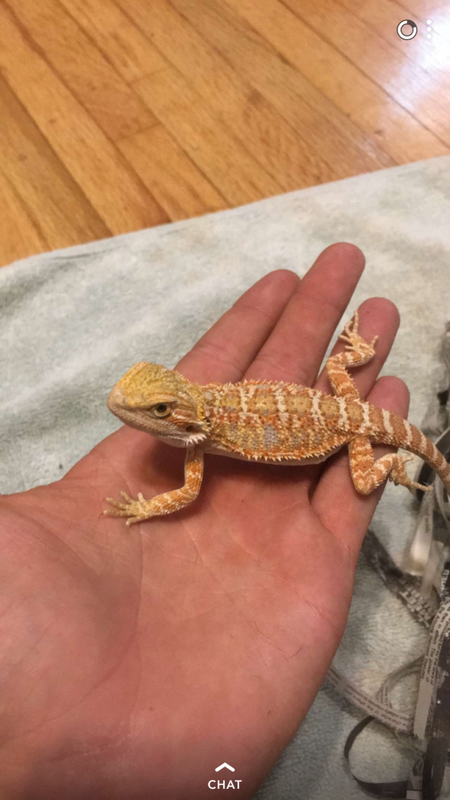 He loves being handled and got here in one piece, thank you for all your help, fair prices and excellent customer service. I purchased my girl from Colette in November of 2016. My girl, little foot, will be two years old in July of this year. She's honestly my best friend. This dragon is so expressive, and so gentle and sweet. So much personality and love. We received our girls yesterday, they came healthy, happy and beautiful. I was very wary at first of ordering them online but Collette is AMAZING. She worked with me through the whole process. I have owned 2 previously and let me tell you a lot has changed but Collette talked me through everything even how to harvest my own bugs. The girls are thriving and loving their cage that Collette help me setup. 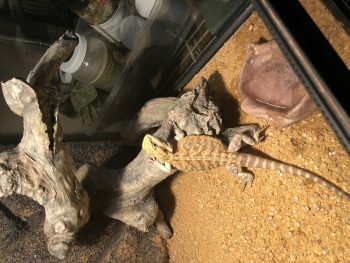 My daughter is in absolute aww and has been all about the lizards (she helping me feed and change water since we wont handle for the 7-10 days that Collette recommends). If you are looking to purchase a beautifully colored healthy bearded dragon I definitely recommend the Atomic Lizard Ranch, I would give her 10 stars if I could! Thank you so much Collette! I absolutely adore these dragons. They’re listed for amazing prices, which made me a bit weary at first, but I wouldn’t burly from anyone else. They arrive healthy and friendly, along wh eating greens. I bought my oldest girl who is 3 now from here and I wouldn’t change a thing. Thanks to for all go good advice for her. I could not be happier! Our gorgeous little beardie arrived exactly when we were told, right at 10:30, and we have had him for about 2 weeks now. 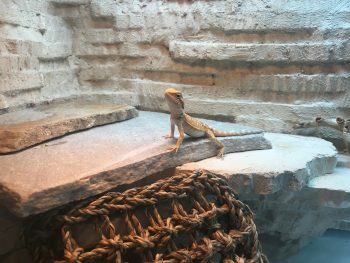 Wyatt has been going through the acclimation process with ease and is an extremely healthy eater, (hes very fat!). 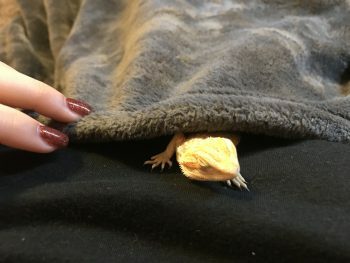 I admit I had some concerns about raising a beardie, but all of those have now disappeared. We're all very thankful to receive such a beautiful little lizard in perfect health! HI Collette. Thanks again for my Dragon. I named him Falkor after the luck dragon in The Never Ending Story. Think the # 19 and shipping him on the 19th sold me on that. He is eating small roaches like crazy. And a bit of collard greens. He is supper friendly been picking him up about 4 times a day a few min each time. Thanks again. Good deal! Thank you as well! My beautiful boy arrived this morning and I have to say the picture didn’t do him justice. Thank you for making my experience simple and worry free. 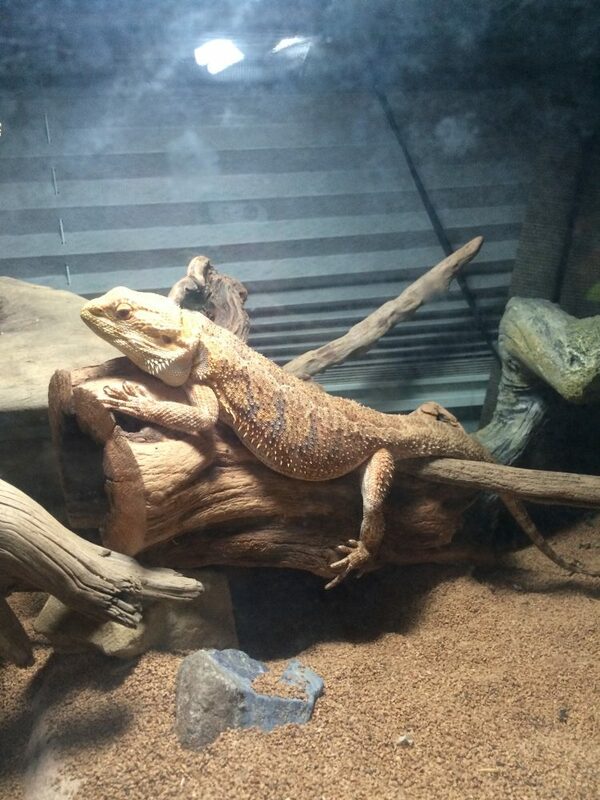 He’s currently hanging out in his basking spot and surveying his new domain. I plan to eventually add a Dunner to my collection and am definitely going to order it from you. Thank you again.